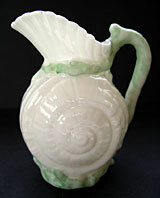 "A stylish, antique, Belleek ware moulded nautical snail shell cream jug. 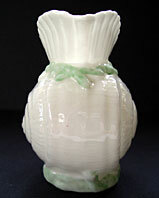 An early and rare First Black Mark example of the Toy Shell porcelain cream jug with crisp moulding and translucent green colour way enhancement. 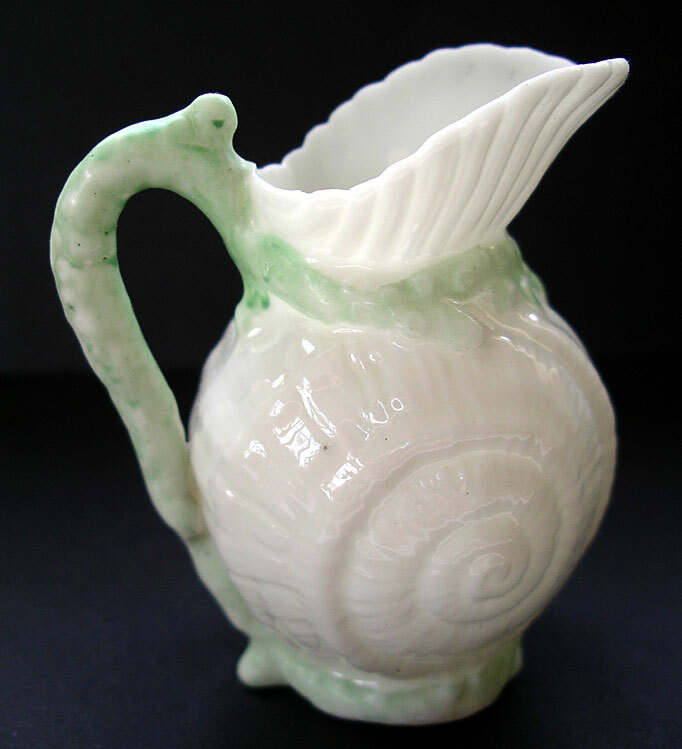 There are delightful and characteristic marine design influences to this wonderful example of delicate Irish Belleek ware. 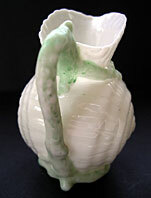 The Belleek Pottery works of Fermanagh Ireland are world famous for doing their own thing and producing these quirky, unusual, unique pots full of style. 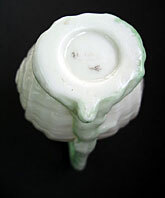 This is a sparkling little jewel and rare example of best early Belleek for the discerning collector." Antiques Expert Hamilton Bear. Dimensions: height 76 mm max. Marks: Indistinct trace of printed First Black Mark as illustrated, circa 1863-1890. Condition: in excellent condition with no chips, cracks, damages or restoration.